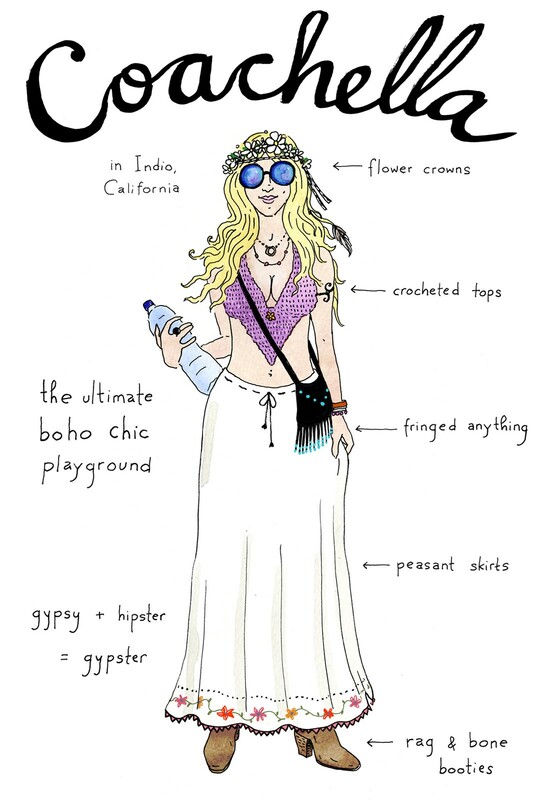 Homepage » Entertainment » Festival Season is Nearly Here – Which Type of Festivalgoer Are You? 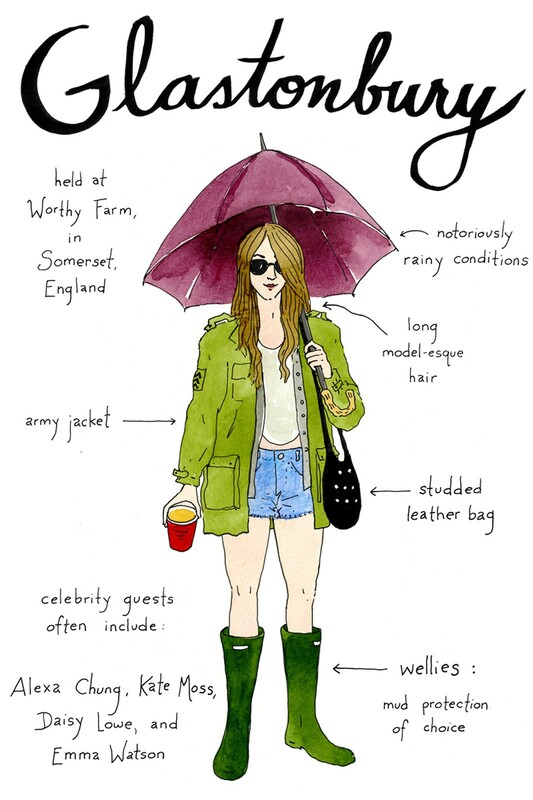 Festival Season is Nearly Here – Which Type of Festivalgoer Are You? Music festivals come in a variety of categorisable types, and artist Joana Avillez has created a series of illustrations that playfully suggest that the festivalgoers do too. 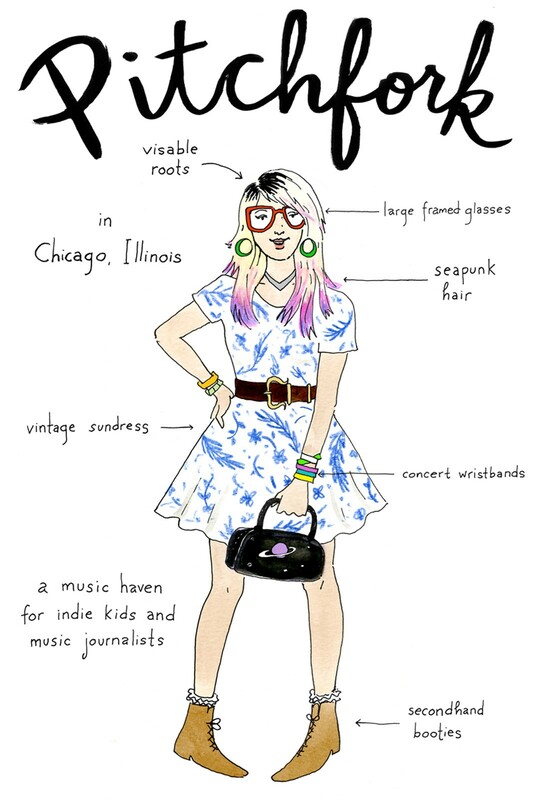 While I’m sure everyone is different and unique in their own way, certain fashion tropes recur more often in some festivals than others and it’s not a massive oversimplification or particularly audacious to say Pitchfork festival is for indie kids. 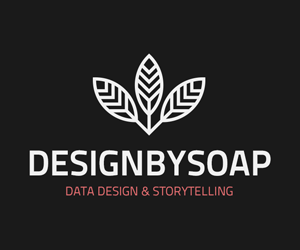 They say it’s good to laugh at yourself, and with a sense of humour in place it’s fun to speculate on which category you belong to. 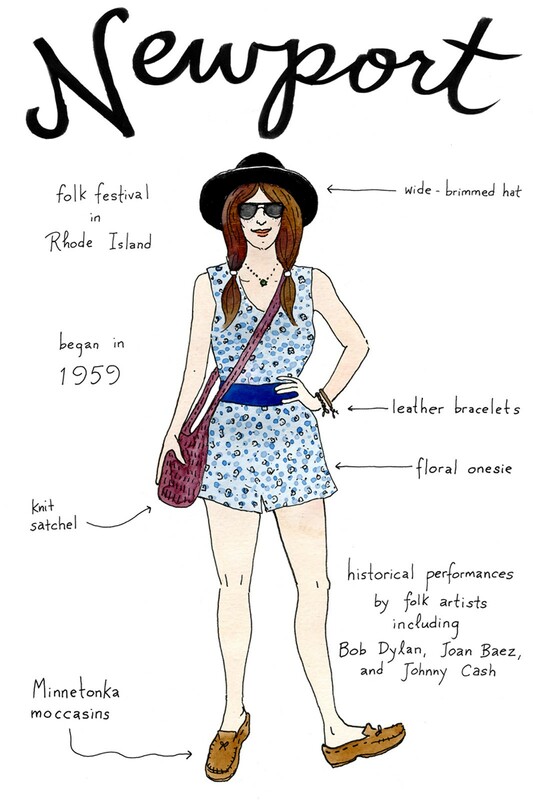 The focus of Joana’s illustrations is primarily on American festivals (with the exception of irreplaceable British super-festival Glastonbury), but they’re all big enough that you would know them by reputation and most have their British equivalents. 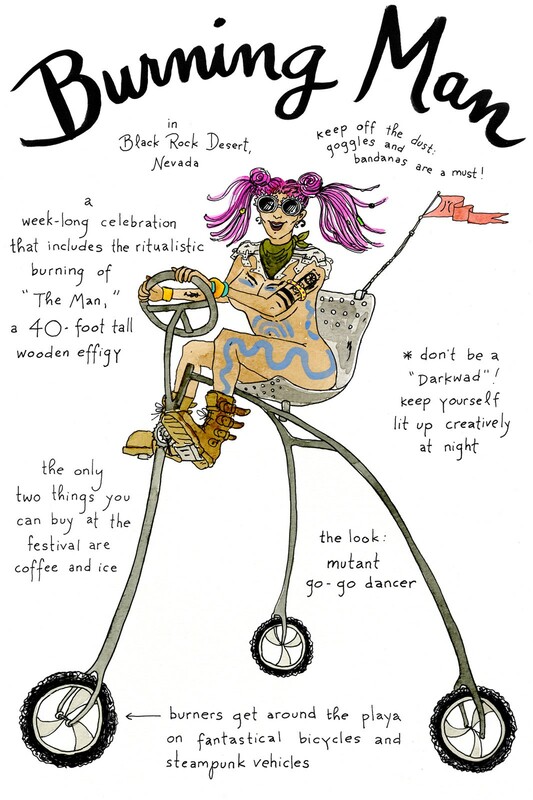 Whether you’re a floral folkie who would fit in at Newport, or a steampunk party animal like the people at Burning Man, there’s probably a type that you would fall into more than the others. These sorts of experiments are interesting when thinking about how other people see you. Without meaning to particularly, people categorise each other, it’s a fact of life. And it could be seen as arrogant to think that you are so individual that you are the exception that defies categorisation. Embrace it. Omar is a staff writer at Visual Broadcast, and is particularly interested in photography, art and design. Copyright © 2013 - 2017 Visual Broadcast. All Rights Reserved.